Funding your online betting adventure with PayPal is a great idea! However, finding the best Australian PayPal betting sites is not as easy as it sounds. All those terms and conditions, the small print can cause a lot of trouble if you don’t know what you’re getting yourself into. Need not to worry, because we have just what you’re looking for! Instead of wandering around from one betting site to another, join a bookmaker that we recommend. You can jump into sports betting action right away, thanks to PayPal instant deposits! In case you want to find out more about the capabilities of PayPal, what it can do, and why it’s a favorite, scroll down and get all the details that are relevant to you as an Aussie punter. These are reviewed, tested and verified, and there’s also a bonus offer to get you started! They all have two things in common. They welcome Aussie punters, and they accept PayPal deposits. You can deposit and bet in AUD. In simple words, joining any of these guarantees the “local treatment”, yet you get the “global experience”. The only prerequisite for a betting site to offer PayPal as a payment method to Aussie punters is to have an Australian license. If the betting site does not meet this criterion, PayPal will NOT be listed as an accepted payment option. As they say, you can learn a lot about an individual if you pay attention to the company they keep. You will not find PayPal at illegal, shady bookmakers, or betting agencies. PayPal is a strong indicator that you’re betting at a legit online bookmaker that watches out for your best interest. Timing is important, especially if one of your primary hobbies is betting on sports and you’re located in Australia, where special in-play/live-betting restrictions apply. You want to place a bet, yet you don’t have enough money in your betting account? What do you? You make an instant deposit with PayPal and you’re back in the game! Your email and your PayPal account is everything you need to launch yourself in the online sports betting sphere, along with a reputable betting site with attractive odds. So what’s so special about Aussie PayPal betting sites? The best way to learn is through examples! bet365 is our number one choice for betting with PayPal, because they offer high payout limits, plenty of ongoing promotions and excellent customer service! bet365 is one of the biggest betting houses in the world! Unsurprisingly, bet365 punters from Australia have PayPal at their full disposal. Yes, bet365 accepts a wide array of payment options, but none of them can compete with PayPal. It will give you access to the long range of promotions, which you will definitely enjoy, especially if you’re into horse racing and greyhounds. There’s more to it! Soccer, basketball, cricket, darts, and e-sports among others. PayPal vouches for you, enabling you to always be ahead, prepared for any sports event. Bet365 is just the host that provides anything you might need. Lastly, like we hinted earlier, the betting site must be licensed in Australia and its governance must be in line with the Gambling and Racing Commission guidelines. Bet365 holds a license granted by the Northern Territory. Bet365 is at the top of our best PayPal betting sites, and for a very good reason! Ladbrokes has gone the distance to deliver a special web page for Aussie punters, one that perfectly fits their preferences, but one that’s also in line with Australia’s laws and regulations. As you expected, PayPal is accepted, and it can get you the welcome bonuses, and any other promotions provided by Ladbrokes Australia. Of course, it’s up to them if they’re going to change any of the terms, and put PayPal punters in a different basket. PayPal opens a lot of doors, including the ones of Unibet! It is one of the few recommended payment solutions Unibet is willing to accept. Low fees, fast transactions, secure payment, what else can you ask from a payment provider and a reputable betting site that welcomes Australian punters? Maybe a bonus from time to time. Unibet has that covered, and PayPal gives you the means to get to all those attractive promotions laid out by Unibet Australia. Is it Legal to Use PayPal at Australian Bookmakers? Although not mandatory, at times, necessary, we reassure you that for the time being, using PayPal as a deposit method at Australia online bookmakers is completely legal. PayPal is a legit payment provider with its own premises in Australia. On top of this it’s recognized by the authorities as a legal, authorized payment provider. Many online bookmakers promote the use of PayPal, because it’s convenient both for them and for the punters. It’s a win-win situation. PayPal has many other features that we’re going to talk about later on. Aussie punters are lucky to have PayPal as a deposit method at their disposal. Is PayPal Available for Mobile Sports Betting in Australia? Most definitely, yes! It doesn’t make any difference, really. The betting site, or PayPal, they will service you regardless of how you access your respective accounts, desktop or mobile, it doesn’t matter. The whole point of e-wallets and online banking is to give the customer the ability to have access to funds anytime and anywhere. Moreover, it’s essential that the customer can make online purchases, or online betting site deposits whenever he/she pleases. Australia or not, PayPal is available to mobile punters, and more so, it’s 100% legal and secure. PayPal’s mobile user-interface is designed with the customer in mind. It doesn’t take more than 30 seconds to make a deposit, initiate a transaction or check your current balance. Note, don’t take this for granted. Depending on internet access/speed, it can take a bit longer, but nothing that can have a severe impact on your overall experience both with PayPal and/or the mobile betting site. Time is of the essence, and from several different points of view. We respect this, but so do betting sites! Mobile betting has been on the rise with the introduction of the first iPhone back in 2007. Place your bets fast and easy, while you’re on the go! How is this relevant? Like the betting sites, PayPal has also been available to its customers with the introduction of the first smartphone. Download the respective betting site app, for example, the Ladbrokes App, or the Bet365 mobile app for iOS. Log in as usual, and not only you’ll become able to place bets via your smartphone, but you can also deposit and withdraw with PayPal at the said bookmaker. Punters who use android smartphones are put in a different situation, but they still can use PayPal to fund their betting site accounts. Due to Google’s “opinion” of betting sites and casinos, including fully legit PayPal betting sites, there aren’t any apps of that kind in the Google Play Store, which means, you will have to download the bookmaker app manually. To be honest, it’s not all that difficult, as long as you don’t mess up any system settings, other than which files the device can download. PayPal Disadvantages – Are There Any? Are There PayPal Fees for Aussie Punters? Yes, there are fees for all PayPal users, that fund their PayPal accounts with credit or debit cards. As a matter of fact, even if you use your credit card, and you use PayPal solely as a transaction processor, you still get to pay the fee. But, this applies to private transactions only, meaning, if you send money to friends and/or family. Depositing at Australian PayPal betting sites is free of charge. Moreover, the online bookmaker will not charge you any fees. You can double check this fact by going to the banking information section at the respective online bookmaker. Most, if not all legit betting sites have this information displayed. Both deposits and withdrawals via PayPal are absolutely free of charge, as far as the bookmaker is concerned. Unlike other payment providers, PayPal can be labelled cost efficient. Credit cards come with high transaction fees, regardless of where you’re depositing. On top of the fees, they’re subject to extensive security checks. Choosing PayPal is the best decision you’ve made regarding online sports betting! Make another great one by joining a betting site which accepts PayPal deposits. The detailed list above shows us exactly why it’s best to play at Australia based online bookmakers, ones that hold a license issued by the Australian authorities. In short, your betting deposits are free of charge, withdrawals as well! We recommend funding PayPal via bank transfer to avoid the enormous credit card funding fee. Fund your PayPal account as rarely as possible. The best way to do this is to make one hefty deposit and go from there on. Being the most popular payment provider in the world certainly takes its toll in some way. PayPal’s primary concerns come from individuals and groups with malicious intents, or in simple words, people who want to scam PayPal customers. PayPal’s adamant in putting an end to this kind of activities. In spite of scammers’ efforts, PayPal keeps on thriving by going the extra mile and treating each individual case with great care. Don't forget, the PayPal betting sites also make efforts to protect you, in any way possible! Since we’re not the experts here, it’s best to go to PayPal’s site and check out the thorough advice and tips the payment provider showcases on how to minimize the risk of frauds and scams. Our word of advice, question any PayPal mail you receive that you hadn’t expected. Nobody in the world will send you an invoice, nobody will send you money without any reason whatsoever. Be careful where and with whom you share your PayPal login details. What are the Alternatives to PayPal for Aussie Punters? PayPal’s direct competitor in Australia, also its main alternative is POLi. Available exclusively to Aussies, POLi enables you to make deposits only. Nevertheless, in spite of this “flaw” POLi still is a worthy replacement for PayPal. Why? Because the fees are considerably lower. However, you will have to withdraw via bank transfer, which in all honesty, in Australia, they have a symbolic fee if compared with the fees of other payment solutions. BPAY and FlexePIN, although domestic payment solutions, cannot be compared with PayPal, mainly because of how they work. On the other hand, Skrill and Neteller are almost identical to PayPal, and are recommended payment method for Aussies who like to rebel and bet at international betting sites. The term international PayPal betting sites is to be treated with caution. Taking in consideration the aforementioned, PayPal seems to be without a direct competitor which showcases the exacts features, even at the same cost. No wonder it’s a bookmaker and punter favorite! Is it irreplaceable? Most definitely not, but it surely brings something that others still cannot match. A reiteration, you cannot use PayPal at international bookmakers. It’s against PayPal’s policy. PayPal Advantages – Why are PayPal Betting Sites so Sought-after? With the disadvatanges taken out of the way, we can focus on the more important aspect, the advantages of PayPal. For starters, the betting site never sees your credit card number, even if you choose to deposit via one, but using PayPal as the main processor of the transaction. Not only this makes the deposit safer, but it also adds a buffer of additional privacy protection. Since PayPal supports a number of currencies, you can use it for international transactions. Note, we already informed you of the fees that apply to currency conversion. The main point to note is that you CAN make international transactions in many different currencies, just not at international bookmakers. Another rather important feature of PayPal is that you can use it for mobile deposits, mobile withdrawals, and you have complete control over your PayPal account via your smartphone. Lastly, PayPal security certainly isn’t flawless, since we have already mentioned that it has been the target of hacker attacks, phishing scams and other threats. Yet, it’s still the best the financial service industry has to offer. But, how safe is PayPal? Why it’s considered to be safe and reliable in spite of its past pitfalls? PayPal is doing regular updates to its security protocols and it’s always on the lookout for new security measures that will make its services better, more secure. The threats we mentioned, and the attacks that happen were caused by human error, but probably the best description is “human recklessness”. PayPal transactions are encrypted, which means they cannot be intercepted. However, there still are threats that can make even the most thorough protection system obsolete. Here are a few general tips that will make your PayPal transaction safer, and your PayPal experience much more pleasant. The PayPal betting sites we recommend and that are offered by Aussiebet feature SSL encryption. This has become vital for the success of any online business, including but not limited to online bookmakers. How to Deposit with PayPal at Betting Sites? In order to use PayPal at betting sites, you need to know how to deposit with it. For starters, do you have a PayPal account? If you do have one, then you’re a few steps closer to betting online with real money. Place Your Next Winning Bet! Besides being easy to use, PayPal comes with the highest level of security. How safe? We’ll cover that later as well! It’s safe to say, it is the industry leading payment provider. Once you click on the “Deposit” button, the money will be available for betting instantly. Now, it’s recommended that you connect your PayPal account to your bank account. This way you will save on fees. Although bookmakers say otherwise, there are fees that you will have to cover if you’re funding your PayPal via credit or debit cards. Can I Withdraw via PayPal from Aussie Betting Sites? Yes, you can. And like we said earlier, withdrawal from most online betting sites in Australia is free of charge. Renowned PayPal betting sites with strong market presence service their PayPal customers by offering free of charge deposit and withdrawals, regardless of the amount they wish to withdraw or deposit. By opting for PayPal, you save yourself from having to withdraw via bank transfers down the road. PayPal is among the few payment methods that can be both deposit and withdrawal options. You get a complete overview of how much you’ve spent on online sports betting, how much you’ve won, and you go and boast in front of your friends, saying how big and successful punter you are. We kindly recommend choosing PayPal as your one and only payment method that paves the way to new, improved online sports betting adventures. Even betting sites promoted PayPal as the most convenient withdrawal option for all online betting endeavors. How Long Do Bookmaker PayPal Withdrawals Take? PayPal deposits are instant, but PayPal withdrawals could take a while, but nowhere near as much as it takes when you withdraw via other payment providers. Most big online bookmakers process PayPal withdrawals within 48 hours. This means that you can have the money the next morning, but it can also take up to two full days. It all boils down how many transactions are being processed by the respective bookmaker. In case there’s a high frequency of withdrawals, you might have to wait the full 48 hours. The money is credited to your PayPal account in full. There are no fees on withdrawals at PayPal betting sites, but only if you opt for the said payment solution.. Note, it’s best to check the specific terms of each online bookmaker before you take this for granted. Another way to find out is to check our review of the bookmaker of your interest. We make sure that we cover all aspects of the betting agency, including the banking terms. Even the best online bookmakers that accept PayPal in Australia can make mistakes, but they don’t go unnoticed! Have there been any Legal Issues with PayPal at Betting Sites? 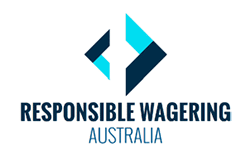 Aussie punters are fortunate because they’re able to bet in a regulated, legal online betting sites. PayPal tends to be picky when it comes to its clients. Some markets where sports betting is in the gray area will never see PayPal displayed in the banking sections of betting sites. Unlike PayPal, there are other payment providers that have taken a different approach, which is infamous amongst punters that prefer reliable and most importantly, legal betting destinations. The definite answer to the questions is yes, there have been legal issues, but not in Australia. Currently, and until further notice, you can use PayPal at betting sites, no questions asked. What is the Minimum Amount I Can Deposit with PayPal at Betting Sites? PayPal supports both micro transactions and heftier ones that go well above the $1,000 mark. However, if you are going to send large amounts of money, the transaction will have to be verified, by providing additional documents, similar to the KYC check. The minimum amount you can deposit with PayPal at betting sites is $5, but this threshold varies, depending on the bookmaker at hand. A deposit of $5 is enough to get you started, but we recommend depositing at least $20 to $30. What is the Best PayPal Betting Site in Australia? Our top pick is Bet365. It’s the home of thousands of Aussie punters, but it has a way stronger market presence in Europe. Fast deposits, easy withdrawals, great odds, tons of markets and most importantly, you cannot get into trouble by betting at Bet365 Australia!